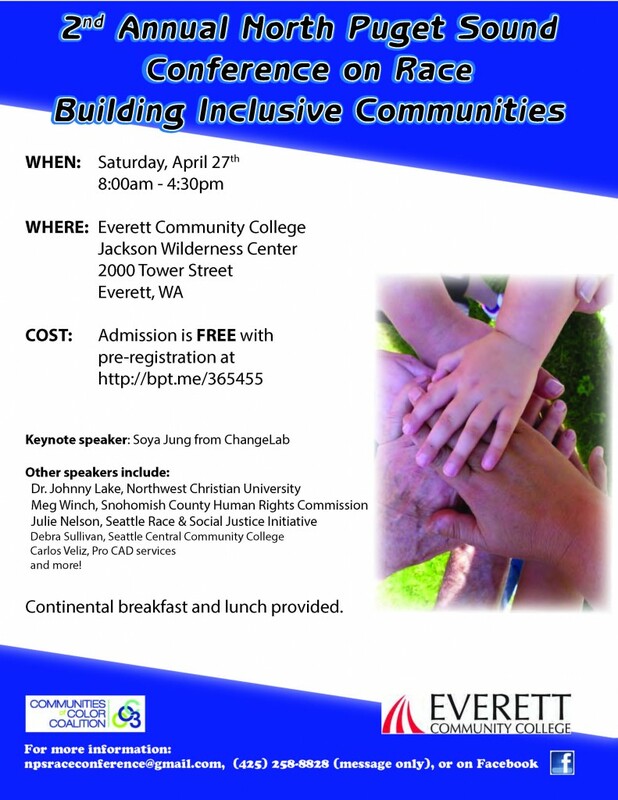 Soya Jung, ChangeLab senior partner, will be the keynote speaker for the 2nd Annual North Puget Sound Conference on Race on April 27. This year’s theme for the conference is Building Inclusive Communities. This promises to be a great opportunity to engage community leaders in important discussions about race, and we look forward to seeing you there. The conference is free, but space is limited, so you’ll want to register online ASAP. Spanish interpretation available. Check out Facebook for more information.